Clients seek Michele’s deep expertise and hands-on approach, and benefit from her diverse professional background at a large firm, in investment banking, in helping operate a non-profit, and in government. Michele is co-chair of the firm’s Hiring Committee, and a member of LEADERSHIP Philadelphia’s Core Class of 2015, the Advisory Council of Mural Arts Philadelphia, and Penn Alumni. 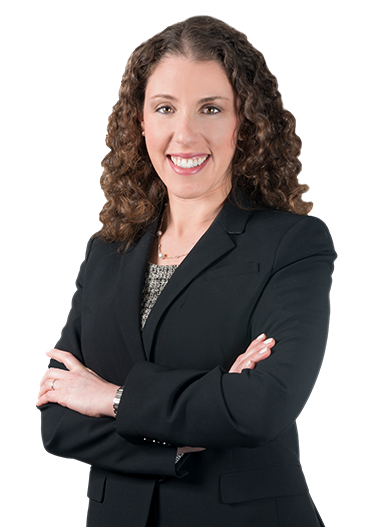 Michele Fenkel is a business lawyer with more than a decade of legal practice experience representing public and private companies of all sizes, as well as individuals, in a broad range of business law matters. She adds value for her clients and brings a unique perspective to her work by leveraging her practical business experiences at Goldman Sachs and in helping to operate a non-profit that focused on the 9/11 recovery efforts in New York. Michele understands her clients’ business needs and often functions as their outside general counsel. She works closely with businesses and individuals in connection with mergers and acquisitions, general corporate and partnership matters, corporate governance, shareholder relations and disputes, employment and restrictive covenant matters, commercial contracts, securities, licensing, and intellectual property matters. In addition to her general corporate practice, Michele represents special committees in evaluations of challenges to merger and interested party transactions. Michele has particular expertise in advising professionals, including physicians, dentists, and attorneys, with respect to professional entity formation and qualification, employment and recruitment agreements, professional services agreements, the purchase and sale of practices, and covenants not to compete. Michele holds and has held several important leadership positions within and outside the firm. She currently serves as co-chair of the firm’s Hiring Committee, and mentors a number of the firm’s associates. She has also served as a member of the firm’s women’s initiative, office space committee, and website committee. Before becoming a shareholder, Michele was elected by her peers to serve as associate observer to the firm’s Board of Directors. Outside the firm, Michele is an Advisory Council member of Mural Arts Philadelphia, the nation’s largest public art program, dedicated to the belief that art ignites change. She is also a member of LEADERSHIP Philadelphia’s Core Class of 2015, a non-profit organization that mobilizes and connects the talent of the private sector to serve the community. In 2018, Michele was recognized as a “Lawyer on the Fast Track” by The Legal Intelligencer, a distinction limited to 30 attorneys in the state under age 40 based on representative client engagements, advocacy and community contributions, service to the bar, and peer and public recognitions. Before joining the firm, Michele was a corporate attorney at WolfBlock LLP in Philadelphia. During law school, she was a law clerk for the United States Attorney’s Office for the District of Maryland. Prior to her practice of law, Michele worked as an analyst in the investment banking division of Goldman, Sachs & Co. in New York and as Special Assistant to the Chief Executive Officer of the 9/11 United Services Group, Inc., a nonprofit organization formed to assist the victims of the September 11, 2001, attacks in New York. Michele is a graduate of Georgetown University Law Center and of the University of Pennsylvania. At Georgetown, she was a research assistant to Professor Jeffrey D. Bauman, for whom she researched and drafted several chapters of a corporations law casebook (Jeffrey D. Bauman, Elliott J. Weiss, and Alan R. Palmiter, Corporations Law and Policy: Materials and Problems (St. Paul, Minn.: Thomson/West, 6th ed. 2007)). She was also Articles Editor of the American Criminal Law Review and co-author of “Racketeer Influenced Corrupt Organizations Act, Twentieth Survey of White Collar Crime,” 42 Am. Crim. L. Rev. 825 (Spring 2005). At Penn, Michele was the recipient of the R. Jean Brownlee Award, one of the University’s oldest and highest honors awarded to a female member of the graduating class. Congratulations to our excellent attorneys!